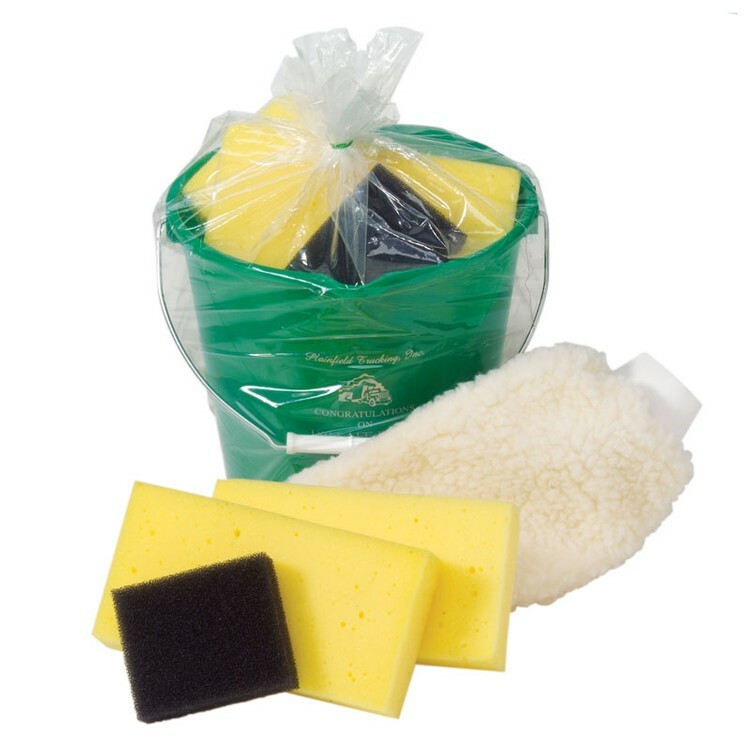 7 Quart bucket contains two sponges scrubber sponge and wash ''n buff mitt. Price includes one color one side imprint. - Custom Colors Available Minimum 5 000 Order.